This past Wednesday, the Federal Reserve raised its target for federal funds by a quarter percentage point, from 0.75% to 1%. This means banks will be charged a tad bit more for borrowing money from Federal Reserve banks. Most people don't understand what any of this means. The Federal Reserve is actually a network of 12 banks and 24 branches across the country. Part of their job is to loan inventory (cash) to other banks at the going "Fed Funds" rate. The Federal Reserve has kept the funds rate very low the past several years, to spur the economy via cheap money for banks that they can turn around and lend to companies and people at higher (but still low) rates. With inflation creeping up, however, the Fed has begun hiking the Fed funds rate to keep the money supply from being too high which would cause even more inflation. The days of cheap money for borrowers are ending. Good or bad? In this post we'll explore what you should be doing with your money right now to adjust to the new Fed policy. (By the way, the Fed has signaled two more rate hikes in 2017). Not doing these things will seriously cost you some bills in the near future. 1. Be aggressive paying off your credit card debt. In my last post, I mentioned that 157 million have outstanding credit card debt. Credit card interest rates are variable. (They're actually tied to the "prime rate," an index a few percentage points above the federal funds rate). So your equity line of credit and credit card debt will be facing higher charges. The change is immediate too. Your interest rates are on the move up now! Do not play around with your balances, meaning paying just the minimum or a few bucks above the minimum. Be aggressive with that debt and pay it down as much as possible. Divert money you may be saving for other things to paying down your credit debt. 2. Borrow cheap money before it gets more expensive to borrow. If you're a business owner or are looking to start a business, now is the time to go get a loan. You're going to want to borrow before the next two hikes, or you'll pay more for it. The same goes for people that want to buy a house. Although interest rates on home loans are not tied to the federal funds rate, they'll be creeping up nonetheless because banks are being charged more for borrowing, meaning they'll pass on these extra costs to the consumer. If you have been waiting to refinance, now is the time to get on it for similar reasons. 3. Transfer money from your regular savings account into a Money Market Account. MMA's are not FDIC insured as is your regular savings account, but they are relatively safe. The Fed raising rates is a move that benefits savers. Remember, the Fed kept rates at 0% for many years to get people to invest. This punished many savers who couldn't get squat for putting their money in long term CD's. Now the reverse is happening. 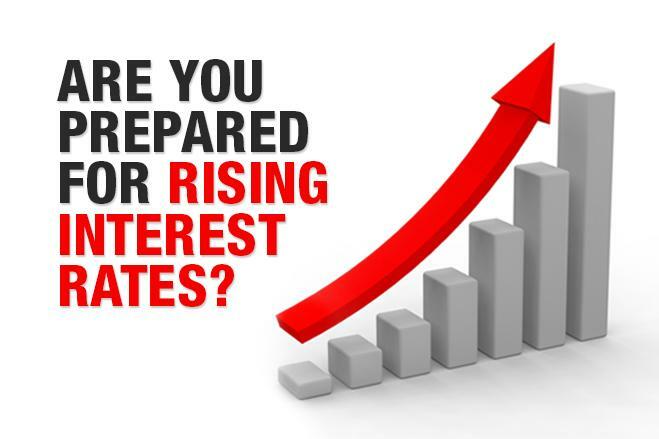 Little by little, you'll see interest rates being offered for CDs start to increase. 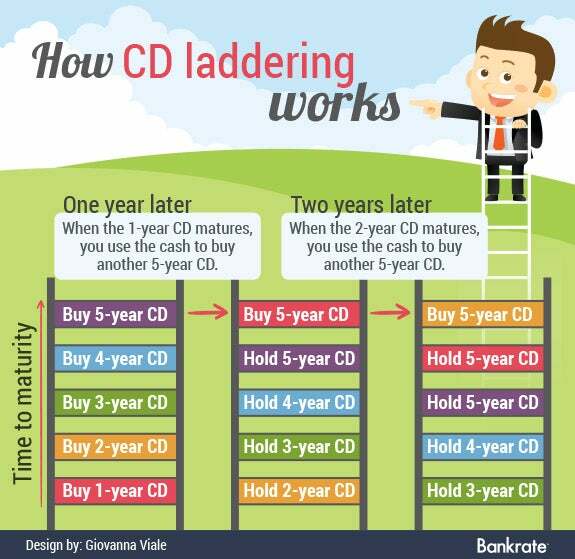 This means that if CDs are your thing, start laddering as you don't want to tie your money up when rates are rising. Again, keeping money in a savings account when rates are rising is plain stupid. The most risk averse people should move some of their savings into a MMA to capture more upside. One last tip, mind the rate of inflation. If the Fed is raising rates, it means inflation could be a real threat to your purchasing power. Inflation has been so out of the news for so long that people have been lulled to sleep. If you're not making money on your money (by investing) at a rate above inflation, you're essentially losing money as you'll not be able to buy as much. The economy is improving. This isn't just an expression for you to repeat over the water cooler at work. Take action! Until next time. If you liked this post, please consider subscribing to get more like them in your inbox. If you're looking to break into investing and make make a living flipping real estate for cash, you'll need to learn all about wholesaling houses. you'll be an expert at flipping homes in no time at all. Hmm, doubtful prospect. I'm going to take out a loan to buy a house, but still, I'm not sure that I can pay the bills. Here http://bankchart.com.au/ I compared the interest rates of several banks. I was looking for favorable conditions, so maybe this would be a good deal. In any case, I`ll have to work hard if I use this loan.